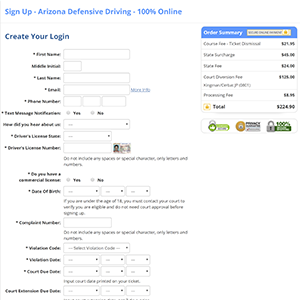 Arizona Supreme Court requires you to provide a copy of your Traffic Citation and Driver License (Government Issued Identification) to the Defensive Driving School. Students are required to complete the entire course and final exam no later than 7 days prior to the student's court date. 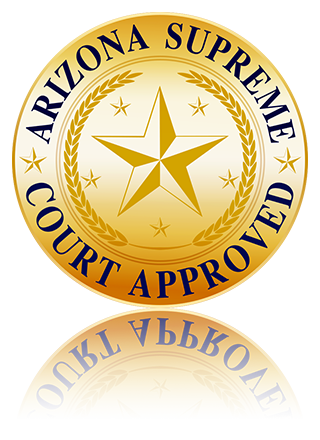 If the student fails to complete all required elements of the course and final exam 7 days prior to their court date the student will not be issued a certificate of completion unless they can provide proof of an extension from the court. 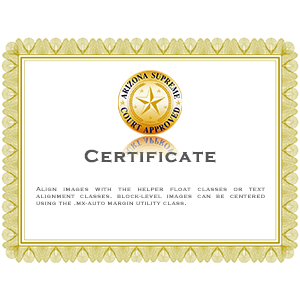 All the course requirements must be met by the student in order for a certificate of completion to be issued. 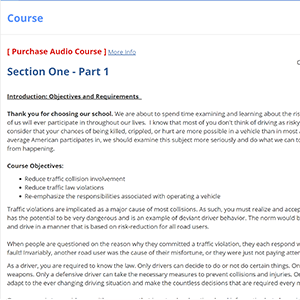 © 2016 Payless - EZ - Fast Arizona Defensive Driving Online - All Rights Reserved.